I recently met Jonathan and was inspired by his rides and pictures through instagram. I asked him if we could pass some of his stoke onto our readers and I hope to publish more of his rides as our site continues to grow. Since moving back to Arizona, one of my goals has been to see as much as my home state has to offer before whatever opportunities the future has for me in other parts of the country. 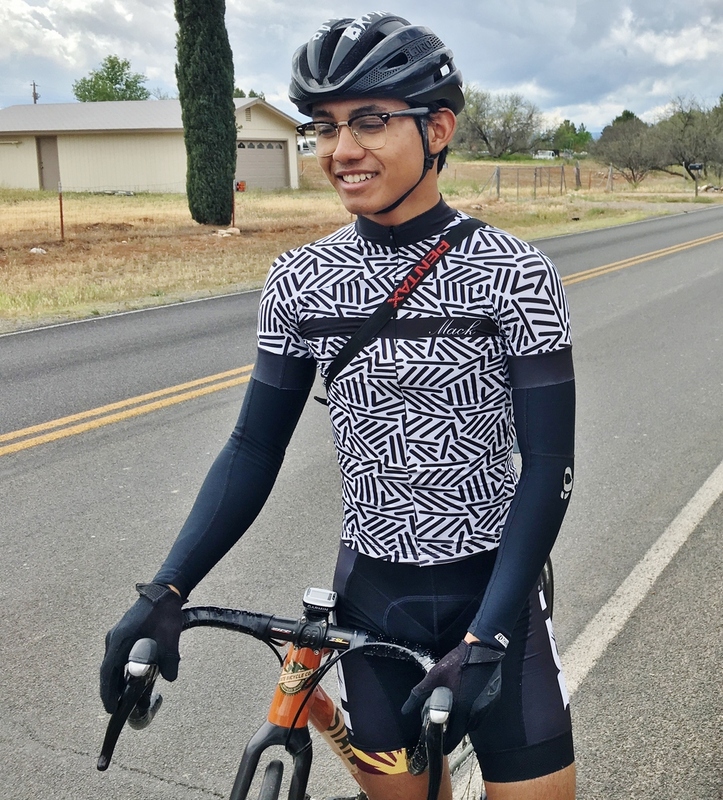 I was invited on an epic road ride with a group of friends which would take us through what’s called the Verde Valley, in the northern forests and high plains of Arizona. When most think of Arizona, they think of vast lifeless desert, spiny cacti and deadly venomous vermin. This stereotype is understandable; after all, much of southern and central Arizona contains elements of this motif. You might be surprised to discover a very different story as you venture further north. Above the Kaibab plateau, the Verde Valley transitionary region that sees a huge variety in flora and rock structures before you reach the more traditionally forested lands around Flagstaff. One of the features supporting this variety of life is the Rio Verde or Verde River. The Rio Verde snakes through north central Arizona, supporting the cities of Camp Verde, Cottonwood and Clarkdale. Our ride would take us through two of those cities, and give us the opportunity to experience the life made possible by both the Verde River and Oak Creek, which flows the towns of Sedona and Page Springs. The first part of the trip took us down Highway 89A. The shoulder on 89A was littered with tiny rocks and rubble that got kicked into our shins. Years ago I had ridden up this same road going the other direction. Then it was a total slog of a climb, so it was somewhat gratifying to descend this time. The next leg was my favorite; we took a scenic detour down Page Springs Road. The road vaguely follows Oak Creek through one of the prettiest areas Arizona has to offer. The road rolls downhill twisting and turning by several vineyards and wineries in a way that evokes strong comparisons to California’s Sonoma county. Except Arizona’s own wine country is palpably greener than California. Shady oak trees lined the road combined with the perfectly overcast, slightly humid weather to create a veritable paradise, right in the middle of one of the driest states in the continental US. We exited Page Springs road and our route took us through the towns of Cornville and Cottonwood, but our first planned stop of the day was a third C-town, Clarkdale. Clarkdale lay at the base of the toughest part of our ride: a 12 mile, 5000 ft hill climb through Jerome to Mingus Mountain. This same highway continues down the other side and into Prescott (another idea for another day). This climb was daunting for a couple reasons. One, it was a major hillclimb in the middle of an 86 mile ride. I’ve done long rides before, and I’ve done major hillclimbs, but this would probably be the first time I’ve done a climb of this caliber on such a long ride. The climbing started out a gradual pace, ranging from just above a false flat to around 5% all the way to Jerome. Our group splintered as we entered the city of Jerome on grades 13+%. We took a wrong turn along the route but before long we were heading the right direction before a beautiful expanse of red rock dotted with green as a ribbon of asphalt climbed and winded its way along the wall. This descent was something special. It occupies that spot between easy swooping descents like Mt Lemmon, where you don’t have to brake or ever stop pedaling, and super technical descents like South Mountain, which really challenges you to stay focused. After nearly 4000 feet of sustained climbing, we were all really depleted. At the bottom of the hill, we made our third stop at a gas station for necessary refueling. Though the bulk of the climbing was now completed, we still had 40 miles to go with significant elevation gain to return us to Sedona. Once we made it back to the main highway into Oak Creek and Sedona, the scenery really inspired a final kick of strength in me (this might be my superpower) and the group. Some of us went to Oak Creek Brewery for overpriced food and mediocre beer, while uploading choice photos to social media. But really, we were all just glad to be off the bikes with the prospect of hot shower and soft horizontal surfaces awaiting us in the Valley below.